Product prices and availability are accurate as of 2019-04-24 09:37:30 UTC and are subject to change. Any price and availability information displayed on http://www.amazon.co.uk/ at the time of purchase will apply to the purchase of this product. 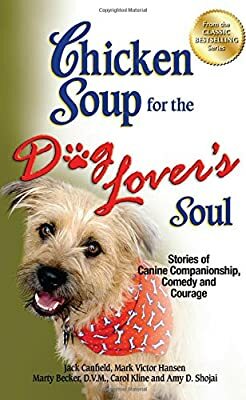 The Chicken Soup for the Dog Lover's Soul: Stories of Canine Companionship, Comedy and Courage is a wonderful book filled with inspirational, heartwarming and healing stories reveling in the unconditional bonds between both dog lovers and guardians and their furry companions. We hope you enjoy these stories! Paperback. Pub Date :2012-09-19 Pages: 416 Language: English Publisher: Backlist From exciting and entertaining accounts of courage and humor to heartwarming tales of healing and learning. 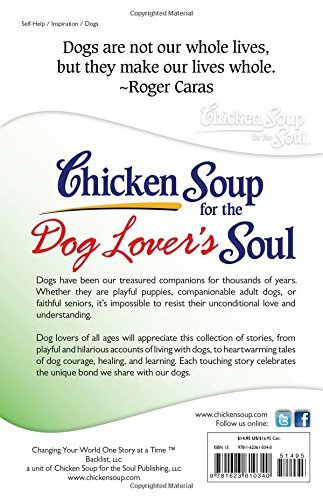 each touching story in this book will inspire dog lovers to rejoice in the unique bond they share with their canine companions.